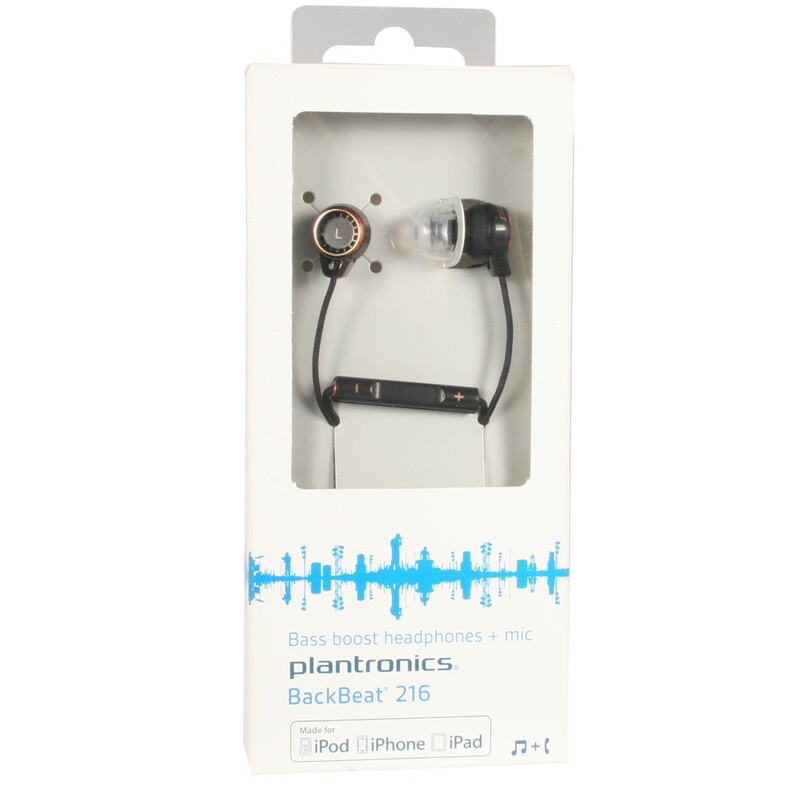 I was recently offered the chance to try out a pair of Plantronics BackBeat 216 headphones and figured they were worth a shot. The Kindle Fire practically demanded good headphones to get good sound and while the Kindle Fire HD has more than made up for its predecessor’s shortcoming there are still plenty of times when you’re going to want to watch a movie on your portable device without filling a whole room, car, or train with the sound from it. At a glance these seem to be a nice enough purchase. For $37.99 they’re not going to break the bank compared to high end options, but the build quality seems high and the cloth-covered wire makes a nice aesthetic touch. The silicone earbuds left me slightly nervous since those are not my preference, but it was worth a try. As far as earbuds go, I’ve rarely found a set that offered better sound. They seemed quite tinny at first, but after changing to a slightly smaller set of silicon tips and seating them more firmly in place I found the experience excellent. My usual listening preference involves a fairly bulky set of Sennheisers, but these could easily stand in temporarily when more mobility is needed. My experience with the conversation applications of the BackBeats has not been so positive. As far as hearing a conversation goes, you get a mixed bag. The silicone earbuds cancel out a lot of the noise that otherwise interferes with calls, but the cloth wire transmits every bit of friction straight to your ears. Shifting slightly in your chair can result in enough wire on shirt contact to drown out the person you’re talking to. The mic is also less than impressive. Stick with the Kindle Fire HD’s built-in and you’ll get better recording. As I mentioned, the comfort was better than expected. For people with particularly small ears they will likely be uncomfortable, but other than that I would expect no complaints. Using these for stretches of 3-4 hours at a time has caused no problems. The in-line controls are useless. I tried to use them on multiple occasions and got nothing. Plugging in an iPhone, since that’s what Plantronics was designing for, didn’t improve things much. I got erratic volume changes and track skipping on music but no reliability. Overall it was actually better to use on anything but the iPhone it was designed for. 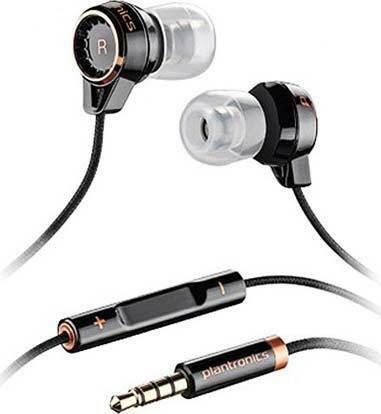 As far as listening to music or movies goes I don’t hesitate to recommend these headphones to any Kindle Fire user. The experience is more than worth the money and they will be kept with my tablet for as long as they last. If you’re looking for a headset with in-line mic for Skype then these probably aren’t the best. There is too much noise transfer when listening to conversation and the mic is not very good. The noise from cable friction doesn’t come through except in such quiet situations, so I don’t think it’s a factor for other applications. At this point, if you are interested in getting a Kindle Fire, I strongly recommend it. This isn’t exactly a surprise coming from me given earlier similar declarations even before the big patch that dealt with so many complaints, but it remains true. This is not an iPad killer. It might have an effect on Apple, and will almost certainly spur Amazon to more direct competition, but they’re devices intended for different purposes. If you want to watch movies, play Android games, access a wide variety of streaming content, and just generally consume media of various sorts, the Kindle Fire is the way to go. I certainly wouldn’t replace my Kindle eReader with one, nor would it work as even a basic netbook substitute in the way that an iPad could once you get used to it, but what it does do is well done. This is just a short overview, of course, and I would be happy to elaborate on any and all of these points should you be interested. Let me know here or by email and I will either comment here or throw up an in-depth explanation as the situation demands. I’ve had my hands on a Kindle Fire for a bit now and I figured that it was time to share impressions. Overall, definitely a nice device for the price. That’s worth saying up front. It does everything that I expected it to be able to pull off and a fair amount that never even occurred to me. Probably best to break it down a little more specifically, though. 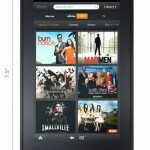 The Kindle Fire was always expected to be a video viewing device and it pulls that off quite well. Integration with the Amazon Instant Video library is seamless and you can browse through the Prime membership freebies without any trouble or intrusive sales pitches. Playback is perfect and I haven’t had so much as a stutter or buffering delay in the time I’ve been using the service. Downloading rental movies goes quickly and it’s obvious how to choose between streaming video and what you have on your device locally. The inclusion of Netflix and Hulu Plus at launch was a nice addition that effectively shut down the Nook Tablet’s main point of potential superiority. While I don’t maintain a Hulu Plus account, Netflix runs almost as well as Amazon’s Instant Video. Jumping into the middle of a half-watched movie resulted in about 2 seconds of stuttering followed by normal playback. Basically the same experience I have come to expect from the box hooked up to my television. I would love to be able to side-load more content that I already own onto the device. At present the supported formats are rather limited. The majority of my library is incompatible. Probably, as with the fight over EPUBs with the Kindle eReader line, a way for Amazon to “subtly” encourage adoption of their house preference. Conversion is much more of a pain for video than it is for eBooks, though, which might make this a major inconvenience for people looking to play things they already have around. Possibly the biggest drawback to using the Kindle Fire to watch movies is the limited audio capability. While yes, it is indeed perfectly possible to listen to music or movies through the built in speakers, the quality is quite lacking. With a decent pair of headphones, however, it works as well as any audio device I’ve ever owned. There isn’t much more to say other than that the streaming here seems to work perfectly well for me, even when reading or using other apps. So long as there isn’t a conflict over who gets control of the speakers, you’re good. 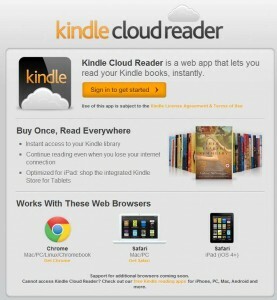 One of the biggest perks of the Kindle Fire was meant to be the new Amazon Silk web browser. Since most of the work is done off of the device by outsourcing to Amazon’s cloud servers, there’s a lot of potential. Unfortunately there are some problems. Most noticeably, there seems to be a slight jump in input lag while using the browser. I’m told this has something to do with a known problem that Android 2.3 has in trying to decide whether the OS or the browser gets to handle input, but I’m not intimately aware of the particularities of Android so this may be inaccurate. If it is true, however, then to some degree it is likely a problem that won’t be going away in the near future. Other than that, things work great. You do get some small speed increase over normal browsing, which if I properly understand how Silk is supposed to work will only get better in time. It scores pretty well on HTML5 tests, though not perfectly, and should run most HTML5 apps. Not much more you can ask for in a browser besides being able to open pages quickly, I suppose? This is undoubtedly the most important aspect of the tablet experience for many people, but it is also somehow the one that Amazon has decided to put the least emphasis on. Yes there are loads of apps to choose from, but not all of the ones in Amazon’s Android Appstore will work on the Kindle Fire. That makes sense, given the wide variety of Android devices out there, but Amazon is able to put a little check mark for device compatibility next to the purchasing button on their site so I would love it if I could just get a “Kindle Fire compatible only” button. I’m sure it will happen in time, though. As for functionality, I haven’t noticed any problems with the apps. Their icons look a little out of place on the carousel next to the eBooks you’ve been reading recently, but no more so than many movie or TV show icons do. I’ve also had no issues so far with performance. The apps specifically for the Kindle Fire work slightly better than their more general counterparts, but even those have little trouble and the screen isn’t huge enough to cause much distortion when interfaces get stretched more than developers intended. There doesn’t even seem to be any major area overlooked by those developers so far, either. Everything I’ve wanted out of it has been available for a dollar or two. The fact that Amazon has a daily free Android App is also a nice plus. This isn’t necessarily Kindle Fire specific, but I’ve seen everything from games to office suites up there. It opened up some options that might have otherwise been overlooked as too expensive to be worth a potentially wasted purchase. Overall this is a great device. It is not a PC replacement, or even a netbook replacement, but for what it was meant to do it works well. You can purchase and use any content you want from Amazon and it seems to run smoothly. Picking up media in unfamiliar formats might cause some complications, but even then there are usually conversion programs available should it be particularly important. While I do see clearly how Amazon is trying to push people into using their services by offering minimal support for anything else, it isn’t nearly as heavy-handed as many claimed it would be. I feel like they are genuinely trying to convince their customers that Amazon services are superior rather than just saying that you shouldn’t have other options. At $199, the Kindle Fire is more than worth the investment. I’ve been speculating here about Amazon’s entry into the Tablet PC marketplace for months now. 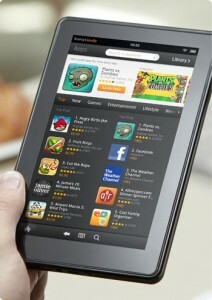 Finally, we have the Kindle Fire to actually look at. Sure it might not be here in person to play with yet, but what we know now is enough to come to some real conclusions for a change. Obviously this new Kindle is going to have a big market, and has already been changing the way tablets are priced, but what will it really bring users that is worth the hype? The first thing to do is figure out what you want from a Tablet PC. To me, they are designed perfectly for passive computing. That is, anything you choose to do that requires minimal user input, be that movie watching, reading, listening to music, or browsing the web. I would not, for example, prefer to be writing this review on any tablet if I could help it. It is nice to have the option to do things like play games or edit documents when necessary, but there are (and in my mind will likely always be) better-suited choices for those activities. This assumption will color my perceptions here, and should you have other preferences my points might not make sense. That said, I think that what Amazon is bringing to customers with the Kindle Fire is the cohesive media consumption experience. Most passive computing tasks obviously revolve around media. The Fire’s default UI highlights magazines, books, music, and videos without preventing more interactive usage. It is an all-in-one platform for shopping and usage tightly integrated with the Amazon store. That said, everybody will be using their tablet differently so it might be helpful to break down the potential uses and how they stack up for the price. 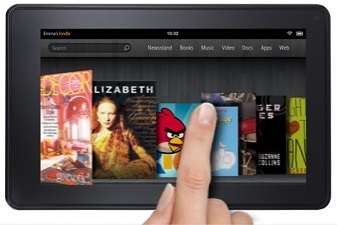 This is clearly where Amazon has been going with the Kindle Fire. Not only has the Amazon Instant Video service been significantly beefed up recently with selections from big names like CBS and Fox, but the Prime Instant Video streaming options are being highlighted through the bundled Amazon Prime membership preview every tablet will come with. While I am a big fan of the benefits of the Prime membership anyway, right now it doesn’t do much in terms of digital content distribution besides facilitate movie watching. 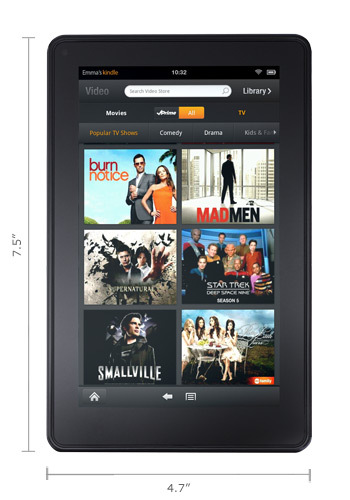 The Kindle Fire has a 7″ display with the same sort of wide viewing angle technology that the iPad makes use of. It’s supposed to be fairly anti-reflective, though that’s something better inspected in person, and looks to provide a great picture. Its local storage is sufficient for a few hours of video when you’re away from reliable internet connections, and the streaming through the service has proven reliable on other devices already. While it is a small screen and it would be nice if they had included some form of HDMI output, the video experience should be excellent. There’s not too much to say about the anticipated audio capabilities of the device. It will have internal speakers and a headphone jack. Music will be playable both from local storage and through the Amazon Cloud Player. I think it is a safe assumption that the App Store will fill in gaps with things like Pandora and Last.fm, so selection and affordability probably won’t be too much of an issue, and Amazon regularly runs promotions for free songs along with larger purchases if you happen to do much shopping through the main site. There are two sides to the question of reading that have to be talked about. First is the standard reading experience such as we are used to with existing Kindles. This will almost certainly be less enjoyable on the Kindle Fire due to its back-lit display, but since it uses the Kindle Cloud Reader the experience will be familiar and enjoyable aside from that. In addition, we finally have real color reading capabilities. This means the Kindle Fire is the Kindle of choice for all sorts of things from Kid Books to Magazines that wouldn’t work quite right on the monochrome Kindle. Expect to see a big push with regard to these types of publications in the weeks leading up to the launch of the device. Amazon has already got a number of deals going, including exclusive deals on a decent selection of magazines and comics. The big surprise at the press conference announcing the Kindle Fire was the Silk web browser. It is essentially a modified Android browser that will offload most of the work to Amazon’s servers. This has the potential to speed up browsing significantly and may even reduce load on the device itself, increasing battery life. The biggest advance that it brings to browsing is a predictive analysis of browsing habits that Amazon claims will speed things up even more by preemptively caching the data you are most likely to need next. We’ll see how it pans out, but it’s a great idea in theory. Beyond making the observation that the Amazon Android App Store already has a great selection of apps to choose from, there’s not much point in talking about the app experience. It’s just too large a topic to generalize on. From what we have seen, though, the Kindle Fire will be bundled in with an email app and document reader app, both of which seem to be capable of doing the job as well as might be hoped for while maintaining the overall theme of the OS. Hard to argue with that. Overall, this is a $200 tablet that seems to offer more functionality than anything else available for less than $500. It isn’t perfect. There is no 3G option, the hard drive is small enough that people without reliable internet connections to take advantage of the cloud storage might want to think twice, and the fact that it is a first generation device might mean there are some bugs to iron out in the first months after release. Even so, I’m of the opinion that the Kindle Fire offers great value for what it does and will make users very happy so long as they know what it can do and what they want out of it going into things. As might be obvious based on the posted release dates at this point, it would be very unlikely for me to have a Kindle Touch handy to review right now. That’s OK! I won’t let anything as minor as that stop me. We already have some media to work with, and there’s a lot of information to be gleaned if you look for it. The basics are still in place, of course. 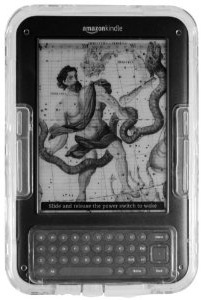 The display is the usual E INK Pearl screen technology that all current generation eReaders are pretty much required to have. The battery life is just as good as the Kindle 3 (or the Kindle Keyboard as we’re now supposed to refer to it I suppose) and will give users weeks or months between charges even during periods of heavy use. The connectivity includes built in WiFi and optional 3G coverage depending on which model you go with. Storage will remain more than sufficient for carrying a library worth of reading material while also allowing you to offload extra books to the Amazon servers. Whatever springs to mind when you think “Kindle” will probably be pretty accurate still. There are obviously a few things that are new and unique to this Kindle family addition, though. The obvious one is the touch screen. It will be making use of the increasingly popular IR touch system also utilized by the competing Nook Simple Touch eReader. This avoids the problems that Sony had with their early touchscreen eReaders, where the extra layer required for the touchscreen reduced readability on the device. It also allows for the use of gloves, which many of you will be aware can be problematic on devices like the iPad unless you get specialty products to compensate. Along with the new screen technology, Amazon has clearly sped up the refresh rate on the new Kindle. It is “optimized with proprietary waveform and font technology”, which I am taking to mean that they have worked out a process to absolutely minimize the refreshed area of the screen during each page turn. The extra speed is quite noticeable and again seems comparable to the Nook Simple Touch based on the currently available video footage. The only other immediately obvious difference from the Kindle 3 is the physical presence of the device itself. 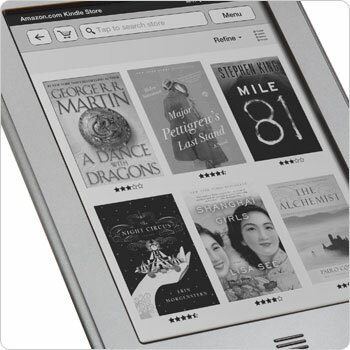 The Kindle Touch is smaller, lighter, silver, and lacks any form of mechanical button. Everything is tied into the touchscreen, so there is no need for anything extraneous. While the new Kindle 4 without a touchscreen manages to be even smaller and lighter, this is a noticeable improvement over the Kindle 3 and will likely improve long-term reading experiences somewhat. At a glance, this new addition to the product line is a perfect response to the competition. It is light, fast, attractive, and has a touchscreen display. I will admit that I wish there were physical page turn buttons as a matter of personal preference, but that’s hardly a deal breaking factor. Most of what makes it such an attractive deal, however, is how little they have had to change since the last Kindle. It seems to basically be a new screen on an old device. In terms of functional differences in the software, we’re left without much right now. The EasyReach feature will partition off the screen in such a way as to make page turning more intuitive and less dependent on swiping than might otherwise be the case. That’s a nice addition. There is also “X-Ray”. X-Ray is a feature that will allow users to quickly scan passages containing references to particular keywords while drawing upon information from Wikipedia and Shelfari. It is hard to anticipate exactly how well this will work in practice, but Amazon has proven fairly adept at making use of predictive algorithms. While I don’t believe they will be able to, as they claim, find “every important phrase in every book”, this could be a great reference tool. Annotation may also be significantly improved by the addition of the new input. Highlighting, placing the cursor, and generally navigating in small motions is problematic on the Kindle Keyboard’s 5-way controller. It isn’t bad, but it’s too slow to be used as extensively as some may want. I would claim that the new personal library browsing has been improved by the inclusion of a cover display shelf type of interface, but I don’t really consider this a useful feature. While for some titles it is perfectly simple to pick out their cover from the crowd, many still have not been optimized for E INK’s monochrome displays. Even more problematic is the importing of titles from other sources. If the focus of the Kindle is really going to be the reading experience, highlighting the pretty pictures should not be a major sales point. While this is only a minor hardware and firmware improvement over the last model and competing devices, it addresses demand and gives customers access to one of the cheapest, most useful eReaders available today. Keep in mind that the Kindle platform brings huge value to the table as well with the inclusion of Whispersync, library lending(yes I know it’s new and late in coming, but it’s definitely the easiest to use at the moment now that it’s here), cloud storage, and perhaps the most impressive eBook store currently open. 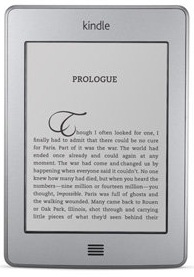 So, is this a better eReader than its main competition in the US? The Nook Simple Touch is the obvious point for general comparison. Barnes & Noble took everything they learned from the original Nook, copied a few more things from the Kindle, and created a really fine eReader. I would say that the playing field has tipped slightly in Amazon’s favor, though. Not necessarily because of the superior physical properties of the device, but because the Kindle Touch brings equivalent hardware to the table and leaves the Kindle’s superior software and content to win out. This isn’t to say that a major B&N update can’t change things, but for now they might have a problem with Amazon. After a recent survey of the options for Kindle waterproof cases, I was given the opportunity to try out one of the selections I mentioned hands-on. Since then, I’ve spent about three solid days using and testing the KlearKase for Kindle 3 and I think I have to revise a few things that I initially said about the product. For the sake of thoroughness, I think it might help to lay things out point by point here. In spite of being a full coverage case, there is nothing that you technically cannot do with a KlearKase on your Kindle. Not only are the page turn buttons accessible, but you can easily handle the QWERTY keyboard and pop out silicon plugs to get at the power slider and headphone jack. Even the volume control is responsive. Barring certain specific needs and circumstances, most of the time it is easy to forget you even have a case on the Kindle. This is pretty much the best compliment I can think of for something like this. The pattern on the back of the case makes it easy to grip, the page turn toggles aren’t hard to get used to, and the keyboard might even be slightly more comfortable to type on than it normally is. The protection on this case is impressive, as it was meant to be. With one of these, your Kindle will not be scratched, dirty, or damp in any way. With the port plugs jammed in, pretty much nothing makes it through. While the KlearKase is advertised as splash-proof rather than waterproof, I jammed the thing full of paper towels and held it under water for a good 10 minutes without anything inside getting wet. There are two minor inconveniences to be aware of, neither of which take much getting used to. First, the directional control is slightly harder to use than normal. Because it is such a low profile button to begin with, it can be a bit difficult to feel clearly through the silicon screen. Not a big deal. The other is the page turn toggles. When using this case, turning a page becomes a matter of pushing a button straight down. If you are like me and usually hold your Kindle in such a way as to make page turns a matter of just rolling your thumb a bit to squeeze the button, it might take a couple hours use before it feels natural. The only downside I can think of here is glare. You can’t really have full screen protection without that becoming more of an issue. Outside of direct lighting like a book lamp or something, it probably won’t bother anybody much. Like I said, the protection is great. It would take far more of a fall or crush to damage a Kindle inside one of these things than it would in most other cases. As I mentioned, water is a non-issue. This is a case I can see becoming a regular use thing. Having had one to try out, I don’t think I would consider giving a Kindle to a kid without a KlearKase(alliteration not intended). It protects, but most importantly it doesn’t get in the way. While it will never pass for a personal statement or fashion accessory, don’t overlook this one. 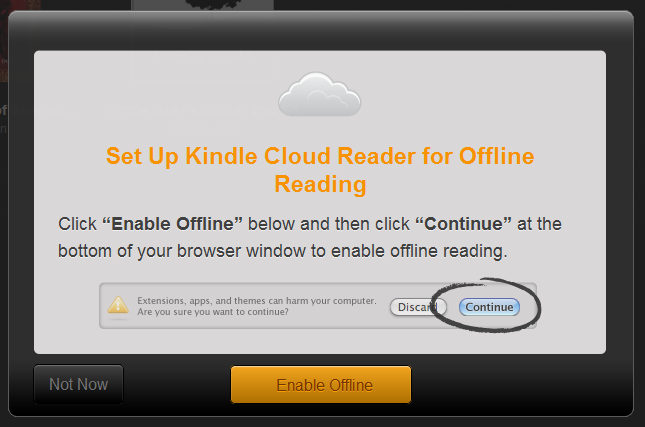 Following the recent move by Apple to cripple any iBooks competition via billing requirements, it really isn’t much of a surprise to see Amazon pushing the Kindle Cloud Reader to what seems like it might be an early release. What is surprising is how functional it is at launch and how familiar it will feel to many people. Now users can read their Kindle eBooks on any device they happen to have a browser on, at least theoretically, with no need to even think about downloaded Apps. Right now users can only access the Kindle Cloud Reader through either Apple’s Safari browser or Google Chrome, which is what leads me to believe that this is an early release. The fact that users will be able to pull this up on iPads but not on Android based Tablets would not make much sense otherwise. If you attempt to access the service through an alternative browser, you will see nothing but a splash screen for it with a bit of the basic information and links to currently supported choices. Since Android users still have access to a fully functional Kindle for Android app, however, it makes sense to prioritize elsewhere. The ads for the service have definitely been making a big deal about the integrated shopping experience for iPad users, which is what distinguishes it from the iOS app. Without something to make it at least equal to the existing Android Kindle app, not many people should feel the lack. Support for Firefox, Internet Explorer, the Blackberry Playbook browser, and more have been promised in the months to come. Given how excellent this early version is already, it’s something to look forward to. To get started, head to https://read.amazon.com in either of the supported browsers (if you do not have either Chrome or Safari, they are both freely available and linked at the end of this posting). When asked to log into the service, simply enter your usual Amazon.com store account. Should you like to have your Kindle content available locally even when you are not connected to the internet, which I strongly recommend since it seems to speed things up a bit so far on my end, you will be given the option. All of your Kindle Edition purchases will be immediately available in a familiar layout, either way. The Library view is easy to use and will be quite familiar to anybody who has used the Kindle apps before. You have a couple sorting and arrangement options in the upper-left corner and a size slider when you’re in grid view. Assuming you decided to enable offline reading via downloaded texts, you should see a Cloud/Downloaded toggle at the top of the screen. By default, you will not have all of your eBooks downloaded. Any book that you want to save a local copy of will have to be acquired manually. Simply find it in the Cloud view, right-click on the cover art, and select “Download and Pin Book”. Each one takes perhaps ten to thirty seconds on an average internet connection. According to the Amazon help page for this app, you can store 50MB locally on your iPad. There are no posted restrictions for people using PC browsers. When it comes to the actual reading experience, you have pretty much everything you can expect from an eReading application. On the PC browsing is achieved using the mouse, arrow keys, PgUp/Down buttons, or space bar. Nothing standard is left out, even if you can’t necessarily map your own keys yet. There are five font sizes to choose from, adjustable margins that do a good job of accommodating most screen sizes and orientations, and three color schemes. While there isn’t any finely tuned personalization included, the setup makes the best of the fact that you’ll be reading on an LCD while keeping everything as simple as possible. The only really major shortcoming right now, aside from the already mentioned lack of universal browser compatibility, is the limited integration of extra features. For example, there does not seem to be any real way to perform a text search, which rules it out as an app substitute right now for a number of uses. Also, while you can sync all of your annotations and highlighting, you can’t make any new changes to any of it at this time. All that really seems included right now is bookmarking and syncing of last pages read. Given that the whole Whispernet setup makes up a core feature set of the Kindle experience it seems pretty likely that fixing these shortcomings will be happening in the very near future, but this is something to be aware of. Overall, this is a great offering. The idea is clearly to stick it to Apple for bringing things to the point of conflict with their App Store purchasing rules, and I would say that even if things never went beyond their present state it would still be enough to be attractive for the majority of iOS Kindle users. There is literally nothing that Apple can reasonably do to block out Amazon’s control of the platform when it goes through something like this, and there doesn’t seem to be a lot that the browser based nature of the Kindle Cloud Reader would force the company to leave out. As the application develops, it would not be surprising at all to learn that Amazon intended to replace their entire app presence with Cloud solutions. The Amazon Cloud Drive and Cloud Player, both of which obviously precede the Kindle Cloud Reader, do a pretty good job of demonstrating the potential. Perhaps after the success of those it was only a matter of time. Stay tuned for any updates to the browser app as the feature set and browser compatibility are improved. We’ll do our best here to keep you abreast of any changes and improvements. 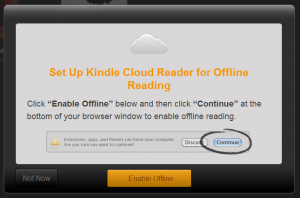 In case you have missed it, here’s a post by Andrei with some speculations about where Kindle Cloud Reader came from and where it might be headed.